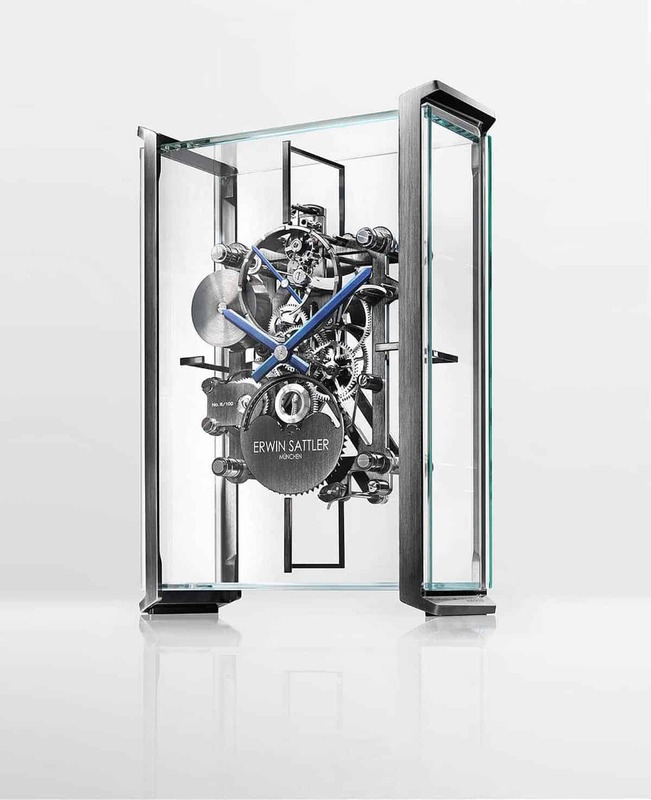 Audi Design has teamed up with famous clock and watchmaker Erwin Sattler to design a new table clock with the Audi theme. 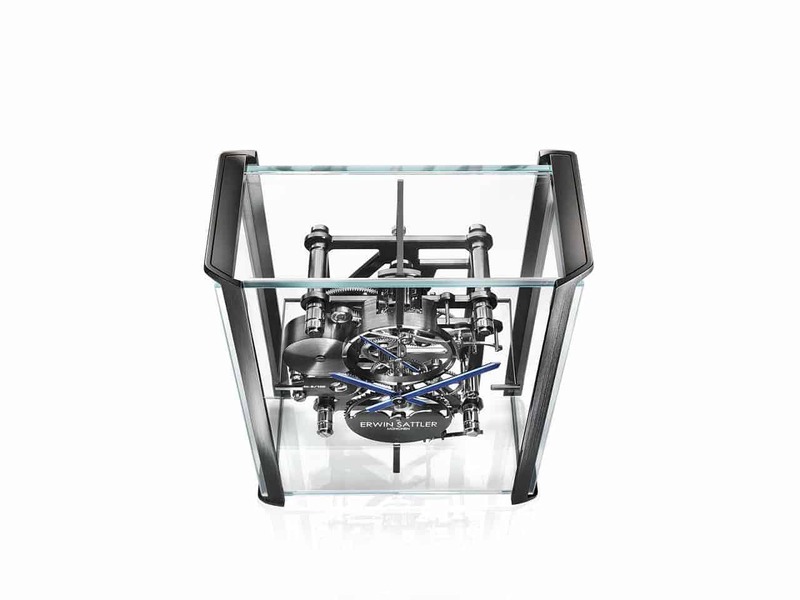 The table clock features glass housing that allows the admirer to see every movement of the mechanics while displaying the beauty of Audi’s technical design. “Design is a reflection of technology. This is why we very intentionally display the technical details of the clock,” said André Georgi, Head of Product Design at the Audi Concept Design Studio Two understated ruthenium-coated clasps hold the housing of the nearly 30-centimeter (11.81 inches) high table clock together. They lead the eye with their precise edges to the clock’s inner workings. The hour and minute dial is likewise minimalist, with markings for the quarter hour, half hour and full hour. The clock’s 18,000 beats per hour ensure smooth running of the balance wheel, a spring that, together with the mass of the wheel, serves as the motor. While the table clock may not be a major piece of Audi’s plan for future advancement, it gives way to showing Audi’s care and love for innovation with a limited bit of technical art. The table clock is already available on order but pricing details haven’t been disclosed. However, we do know Erwin Sattler’s table clocks are far from being affordable as some of them reach even $10,000 USD and this latest piece is certainly not an exception. The table decoration may not be a huge seller for major consumers, but it will certainly make for a good collectors piece for years to come. Anybody collecting anything with the Audi name or even automotive enthusiasts all together are surely in dire need of such an exquisite timepiece.